This image is pleasing to look upon, Lisl. Very nice angle for this! Don't they look nice, I bet they are expensive. Jolis cabanons avec leurs couleurs gaies. I like the colours of the beach huts. Very charming Lisl, good strong colours here. These must be posh huts if they have an electricity supply. Looks like they have a good view. Beach huts in Southwold have been up for sale for as much as £150,000 and that is just the known asking price. Probably going for a fortune these days! Que c'est beau ..j'aime toutes ces couleurs .. 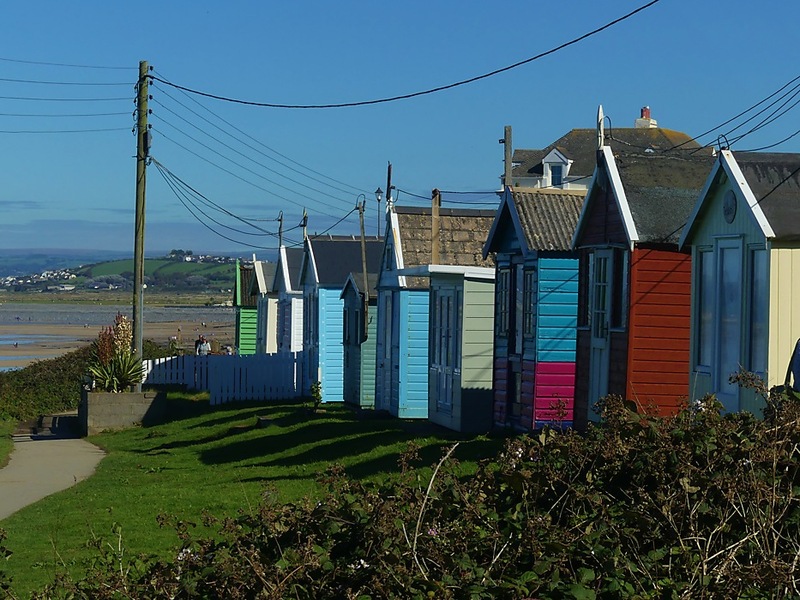 I've always wondered, Lisl, if these colourful beach huts have indoor plumbing. I wish we had these types of huts near beaches. Lisl: Perhaps you could suggest it to the local council, Mary? And show them this picture? Unusually they all seem to come with electricty laid on. I like your viewpoint, they lead nicely through to the ebach.